Thank you so much for your support in our mission to eliminate substandard housing in Stanislaus County. Your donation will give a local family a hand up not a hand out. 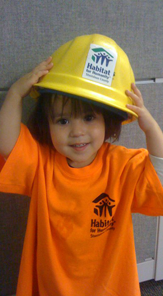 You help them achieve their dream of homeownership and provide them with a simple, decent, affordable home. Please call the ReStore at (209) 575-4585 Ext. 112 or our front office at (209) 575-4585. If donating items to the ReStore, please see our donation guidelines. For our current needs, please see our wishlist.